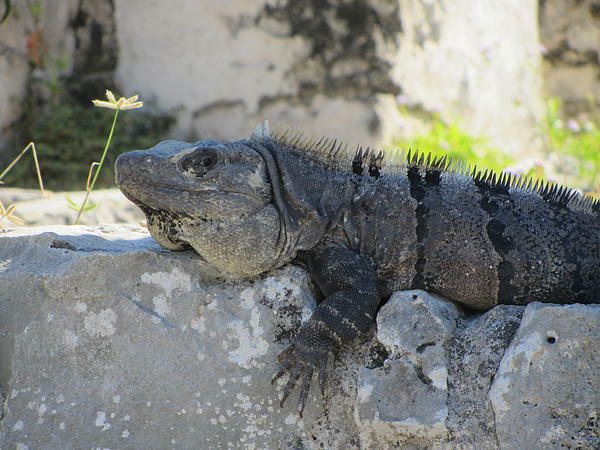 Taken at Talum ancient Mayan Ruins. 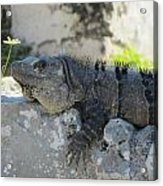 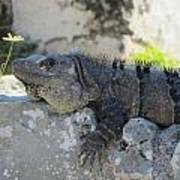 Many Iguanas are sunning all over this location. Contrast of wrinkled old lizard and little youg spring flower.